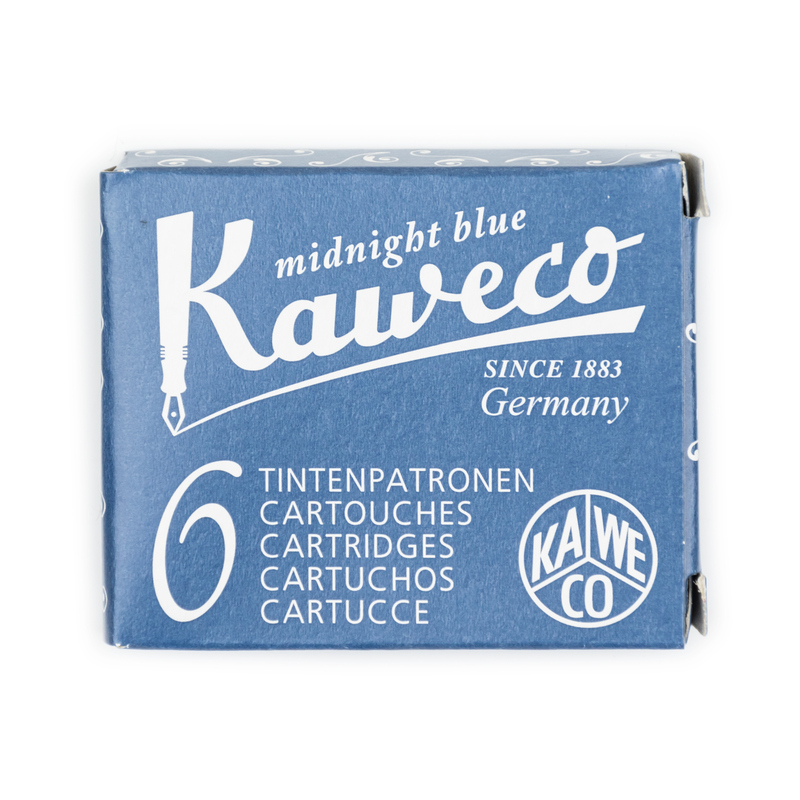 Weight: 10 grams, shipping calculated at checkout (more details). 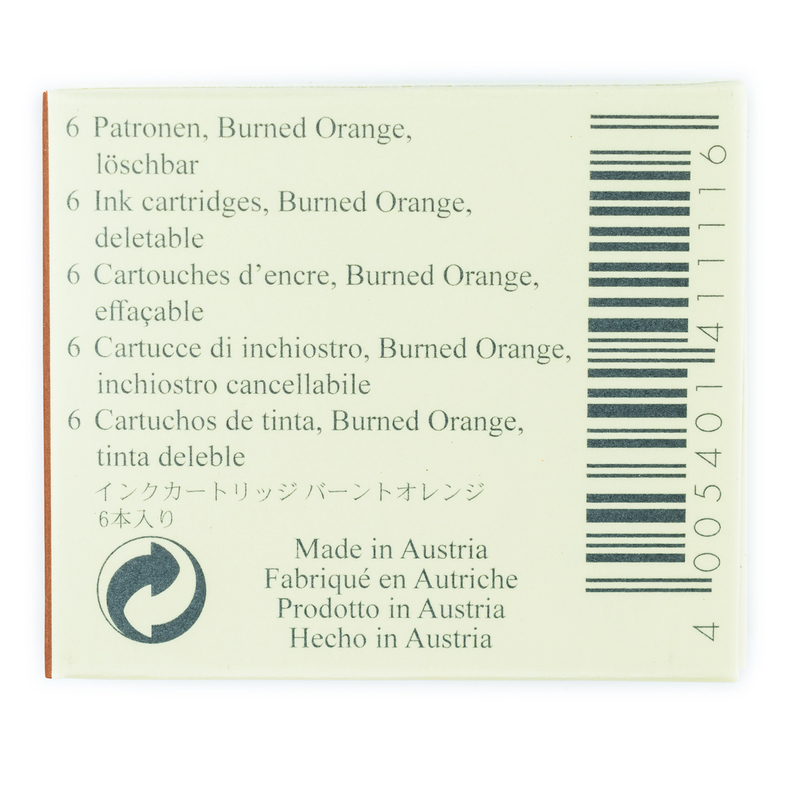 Burned Orange is the newest addition to the Graf von Faber-Castell family of inks (which is now consists of 13 vibrant colors). 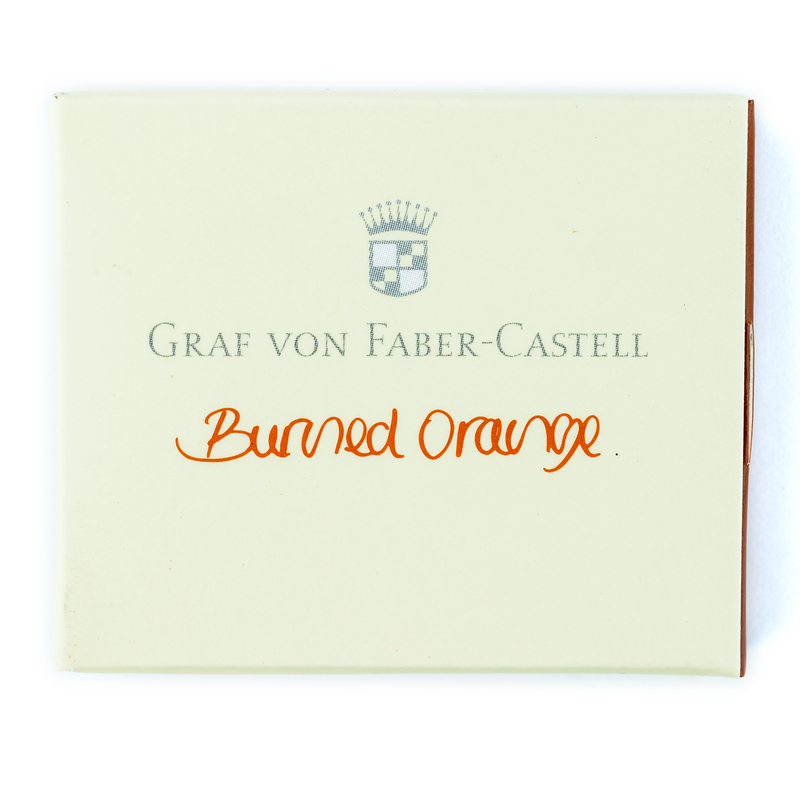 Graf von Faber-Castell Burned Orange is a bright and quite saturated ink that shades from light yellow to almost red colors. The ink flows well and is very smooth. 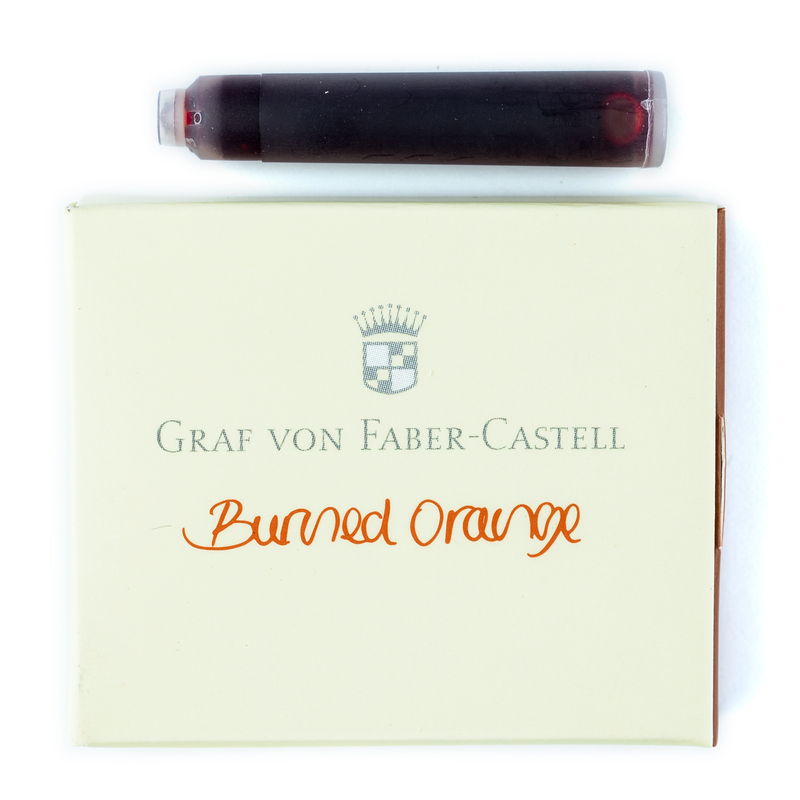 Graf von Faber-Castell ink cartridges are Standard International Short cartridges. They can be used in all compatible fountain pens including Standard International compatible pens of other brands. 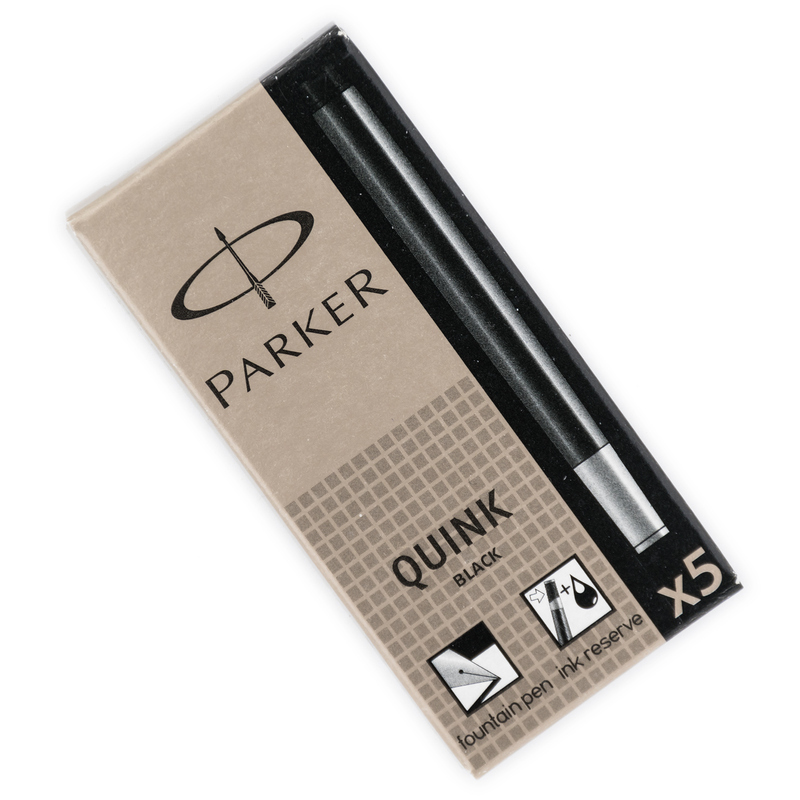 Each cartridge is 38 mm long (1.5”) and contains about 0.8 ml of ink.